So, what is freeze drying anyway? Freeze drying was originally introduced in 1813 by William Hyde Wollaston to the Royal Society of London. It wasn’t until the late 1980's the freeze-drying discovered the allurement and longevity of freeze-dried flowers. We began freeze drying in 1988 with our first business and in 1992 with Flyboy Naturals. Freeze dried flowers, or in our case rose petals, hydrangea petals, peony petals & lilac petals are made from fresh flowers we grow on our Oregon farm. We grow millions of flowers specifically to make our petals. We carefully harvest each flower by hand. After the daily harvest is complete we begin the process of de-petaling the flowers. This is where we are removing each petal with a delicate touch as to not damage them. The petals are carefully loaded onto shelves in our freeze dry machines and are ready to begin the freeze drying process. Freeze drying is a method of preservation which maintains the natural shape and color of the petals without the use of any chemicals. Here comes the more technical part of the process….Freeze drying is accomplished by a process called sublimation. This requires special freeze-drying equipment. First freezing the petals at very low temperatures of -20 or so for 24 hours. A vacuum pump removes the moisture out of the petals in the form of a vapor. The vapor condenses as ice in another chamber. The processing time varies depending on the product you are drying...in our case with the flower petals the total time frame from harvest to unloading the finshed product from freeze-dry machines is 14 days per cycle. Because of this incredible process, the shape and natural color of the petals are maintained. We have discovered over the past 27 years of freeze-drying that certain flowers & petals process much better than others. They retain their color, shape and size very well because of the fact they have been freeze-dried. This gives the petals great longevity. They look like fresh petals but will last for many months or even years when cared for properly. We focus on growing & producing the petals that freeze-dry beautifully every time! Another benefit in addition to the longevity of freeze-dried petals is the fact that under normal conditions they are not slippery and they don’t stain linens, wedding dresses, bedding, carpet, pavers. Flyboy Naturals petals are all natural, eco-friendly, bio-degradable & affordable choice for every special event, proposal, engagement party, wedding, anniversary, celebration of life & so much more. 1. Are Flyboy Naturals Eco-Friendly Freeze Dried Petals safe outdoors? Flyboy Naturals Rose Petals are all natural, non-staining, not slippery, bio-degradable. Our petals are not harmful to the environment. 2. How long will the petals last? Given the proper care, storing the petals in a cool, dry & dark place they can last for many months or more. A dark bedroom closet works great! 3. Do I need to store the petals in a refrigerator or freezer? Optimal conditions for storage are cool, dry, dark places (closet, office) until ready to use. Avoid high heat and humidity. Do not refrigerate or freeze. Ideal conditions for long-term storage of petals are 65-80° F, 30-35% humidity. 4. Do freeze dried petals look crinkled & dry? Flyboy Naturals Rose Petals look almost the same as fresh. Freeze drying our freshly harvested rose petals, hydrangea petals, peony petals preserves them so the petals hold their shape, size & color....even the fragrance if they are fragrant to begin with. We do not enhance the fragrance or the color...they are 100% natural. 5. How far in advance should I order my petals? You can order several weeks to several months in advance. Just follow the simple care sheet included in your order. 6. How quickly can I get a rush order? If you need petals overnight we are happy to accommodate your order. Simply place your order by 10am PST & select FED EX OVERNIGHT. 7. My venue will not allow real petals or silk will they allow freeze dried? Flyboy Naturals Petals are preferred by most venues as they are non-staining, not slippery, all natural. Under normal conditions, they can be safely used on carpet, pavers, flooring, linens. In fact, we are the only company that many historical venues, museums & galleries will allow to provide rose petals. 8. What are some of the suggested uses for Flyboy Naturals Rose Petals & how many do I need? * Rose Petal Covered Walkway, Aisle or Garden Path Set the stage wedding or event by creating a dramatic rose petal walkway that greets your guests as they arrive or provides a lush walkway for a grand entrance. Unlike fresh petals, freeze dried petals are non-slippery and they won't stain under regular conditions. They are also more affordable than fresh petals—an effortless way to create the perfect entrance to your wedding or event. Light Coverage 1 1/2 cups per sq. ft. Moderate Coverage 3 cups per sq. ft. Elaborate Coverage 5 cups per sq. ft. Lavish - Total Coverage 6+ cups per sq. ft.
* Bride & Groom Exit - Guest Petal Toss Add romance and sophistication to your grand exit when guests toss rose petals instead of bird seed or bubbles. Freeze dried rose petals are all natural | eco-friendly | beautiful | safe | bio-degradable | Clean up is fast & easy. *Memorial Petals | Funerals |Celebration of Life Events Honor your family member or friend with a beautiful gesture of petals, lovingly scattered in their memory. Use at the grave site, floated on water or released into the air. Adorn any special place created in their honor. 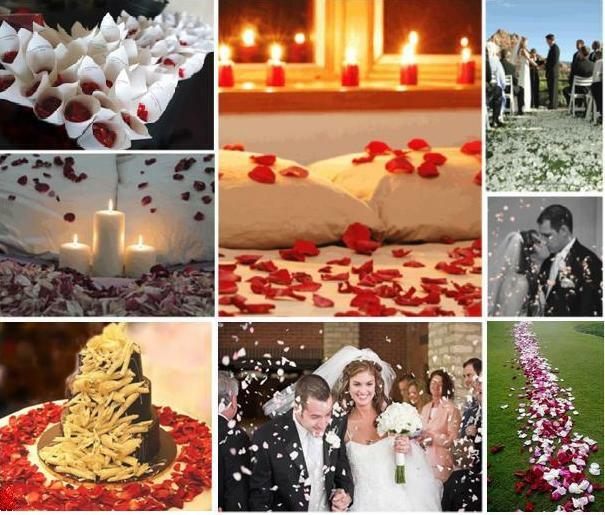 Petals help create a unforgettable celebration of your loved one's life! 12. Has Flyboy Naturals ever supplied petals to movies or commercials? Yes, Flyboy Naturals Rose Petals have supplied a number of production companies & movies. 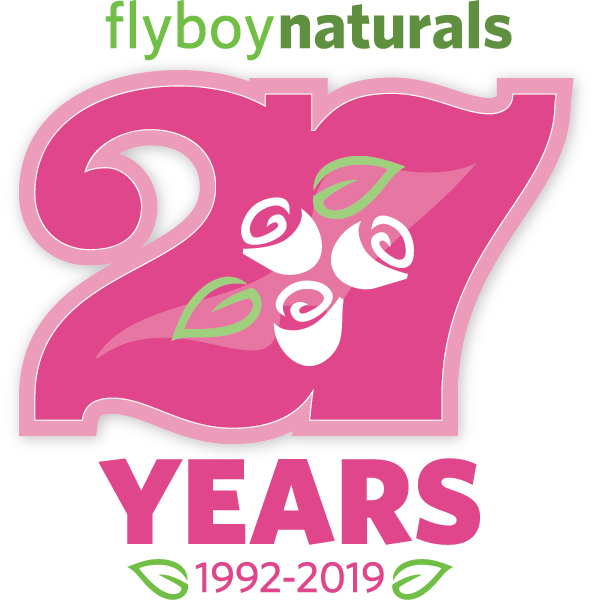 In 2015 Flyboy Naturals Rose Petals were used in the Rose Parade on the float "Jungle Rescue"
In 2014 Flyboy Naturals Rose Petals were used in the ROSE Parade on the float "Lights, Camera, Action"
13. Does Flyboy Naturals offer custom orders & blends? You bet, just give us a call 1.800.465.5125 or 1.541.863.3153 We will do our best to accommodate your special requests! 14. FYI: Flyboy Naturals Rose Petals specializes in eco-friendly, freeze dried petals for Weddings & special events…offering over 100 colors of absolutely beautiful, non-staining, not slippery & bio-degradable rose petals, hydrangea petals, peony petals. lilac petals & wedding petals. Flyboy Naturals petals are the preferred choice of venues, florists, photographers and event specialists as they are non staining, not slippery, quick & easy, convenient and create a compelling visual display…instantly transforming a space! Your family & friends will enjoy tossing petals at the guests of honor...the petals create a powerful visual image and lots of fun for all...special memories for everyone to share! Our goal is to make our service & your experience exceptional.